This grenade is the practice version of the M75. 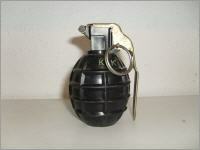 It was made in SRB factory for Yugoslavian people's army. 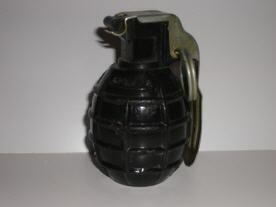 During existance of ex-Yugoslavia it was used in Yugoslavian people's army military schools and military bases for practicing soldiers in using and throwing M75 grenade. The grenade has the same dimensions and weight as "live" M75. 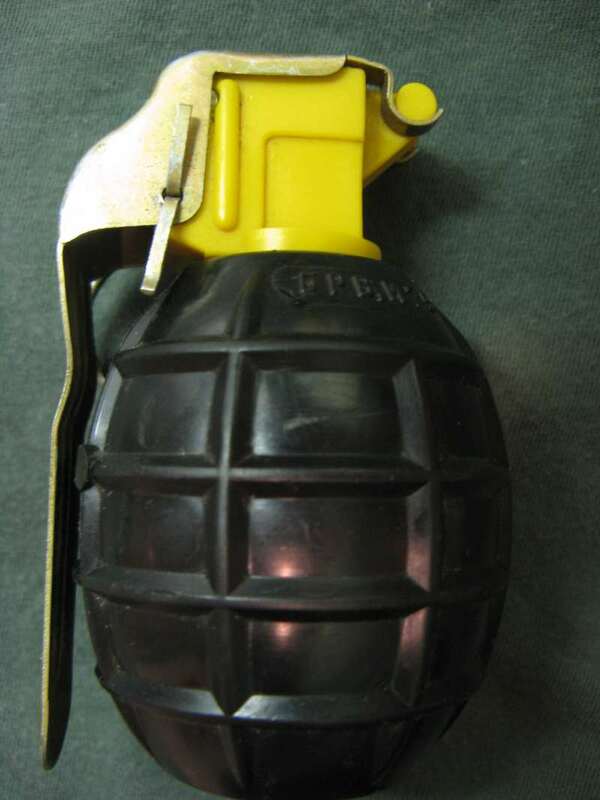 The body of the grenade is made of black plastic, and inside it has steel liner which gives it the weight of the live grenade.The steel liner is protected from rusting by cadmium plating. 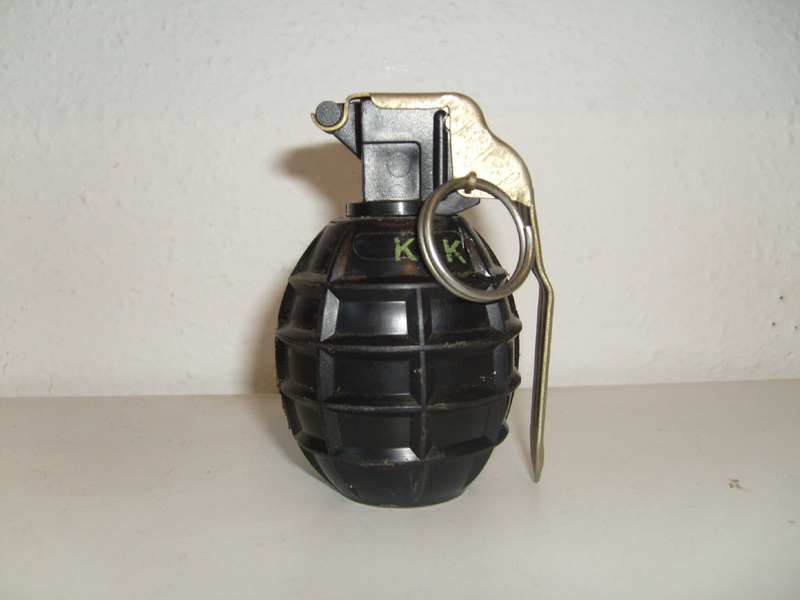 The photo right shows the one I have myself, marked "VBR M75" and "KIK". 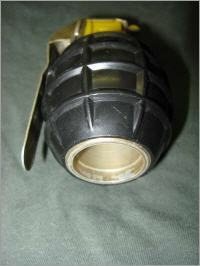 The body of the grenade has a large hole on the base. 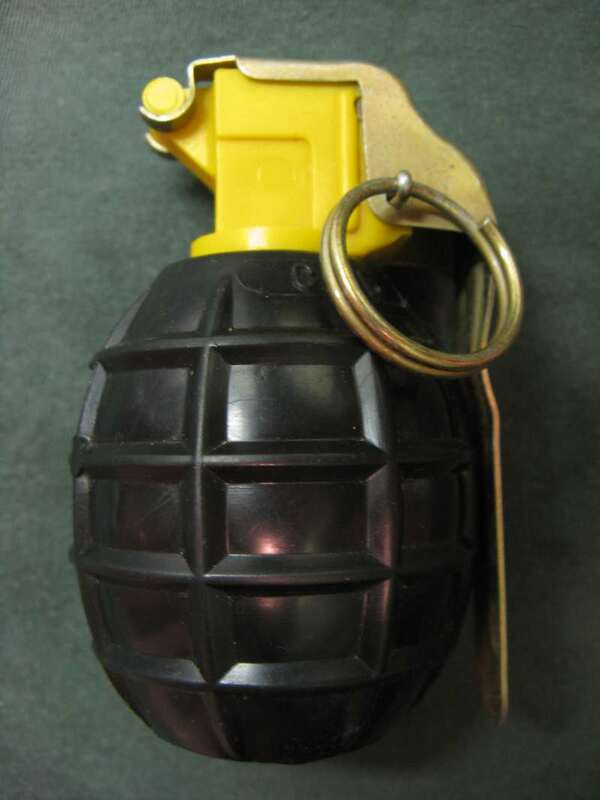 The fuze is identical as the fuze of the live M75 but it is made of yellow plastic which symbolises that it's a practice grenade. 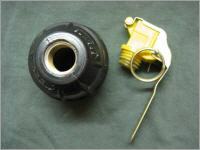 The fuze has a replaceable practice detonator made of metal with a plastic cartridge filled with black powder on the inside. When the grenade is thrown, after burning delay, the plastic cartridge with black powder explodes and simulates the activation of the grenade. 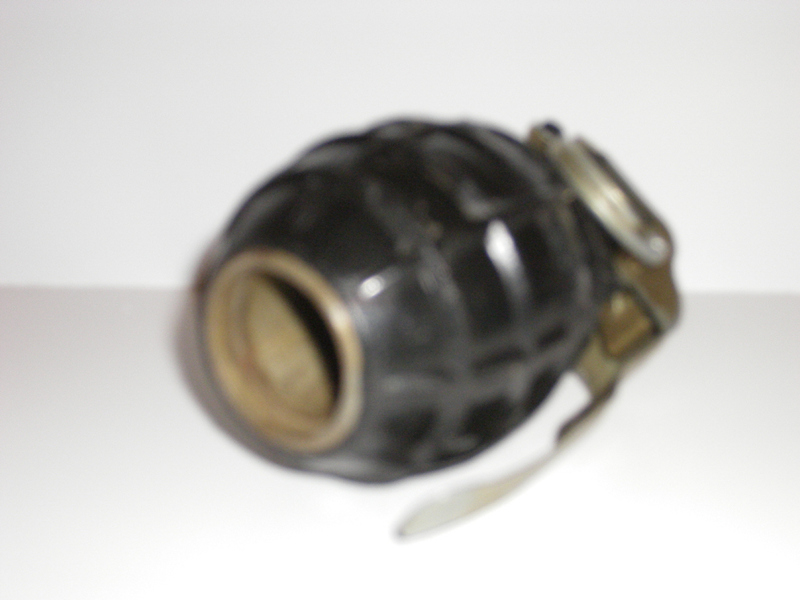 During the early 70's, fired practice fuzes were used with the body of this grenade as a classroom model in military schools.